HomeCatalogIncontinenceUNDERPAD DRY PAD ULTRASORBS AP 24X36"
Ultrasorbs Ap Premium Disposable Drypad: Air-Permeable, Moisture-Proof Backsheet Provides Superior Skin Dryness And Comfort. Advanced Thermo-Bonded Supercore Wicks Moisture Away From The Skin And Locks Fluid Away For Increased Patient Dignity And Better Skin Care. Super Absorbent - One Ultrasorbs Ap Equals The Absorbency Of Three Or More Traditional Underpads. Exceptional Odor Control. 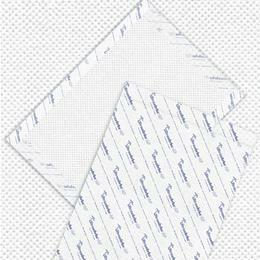 High-Strength Pad And Film Provide Exceptional Resistance To Tearing And Resulting Linen Changes. Indications For Use. Open-Airing Incontinence Management, Icu/Ccu Patients Who Should Not Be Disrupted/Moved More Than Necessary, Er For Absorbing Significant/Ongoing Fluid Loss, Labor And Delivery, Or Use, Any Other Area Where Skin Dryness Is Needed. Ultrasorbs Ap, 24" X 36".